HCM City hopes to increase cooperation with Japan in agriculture, forestry and fishery sectors, especially hi-tech agriculture, according to Le Thanh Hai, Secretary of the city’s Party Committee. A conference was held in Rome, Italy on April 9 for Vietnamese and Italian universities to explore opportunities for training partnerships. China and Viet Nam have concurred to advance security cooperation to turn bilateral relations in this field into one of pillars of their comprehensive strategic cooperative partnership. (VEN) - Vietnamese and Russian businesses are expecting that bilateral economic, trade and investment relations should see a breakthrough after the official visit to Vietnam by Russian Prime Minister Dmitry Medvedev from April 5-7, 2015. 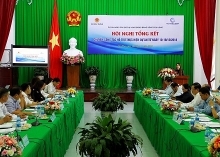 Vietnam and the European Union (EU) have maximized efforts to accelerate the signing of the EU-Vietnam Free Trade Agreement (EVFTA) by mid-2015. Russian PM Dmitry Mevedev and Vietnamese Deputy PM Hoang Trung Hai on April 7 co-chaired a meeting with businesses from the two nations in Ho Chi Minh City during the former's visit to Viet Nam. Russian Prime Minister Dmitry Medvedev advocated for expanding bilateral cooperation beyond oil & gas and energy during the Vietnam-Russia business forum held in Ho Chi Minh City on April 7. 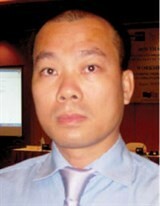 (VEN) - Vietnam Economic News’ Bui Duc Khiem interviewed Vu Ba Phu, Vietnamese Minister Counselor to Belgium and Luxembourg.